An Outaouais farmers' union wants to expand the wild turkey hunt to stop the hungry birds from wreaking havoc on their crops. Wild turkeys run rampant in the Outaouais — but could a hunt reduce their numbers? Wild turkeys are wreaking havoc on western Quebec's farms, leading to calls for better control of the hungry birds' population. The Union of Agricultural Producers (UAP) says wild turkeys have been causing more and more trouble as their population grows. "We want to find a solution, find a way to control them without exterminating them," said Stéphane Alary, UAP vice-president for the Outaouais-Laurentian region. Some farmers are abandoning grain production in favour of other crops, he said, rather than lose profits to the turkeys' appetites. "It's beautiful to see, but it's a nuisance," he said in a French-language interview. Quebec's Ministry of Forests, Wildlife and Parks has gotten more reports of wild turkeys this year than in past years, said biologist André Dumont, who manages large wildlife for the department. While there isn't an exact count of wild turkeys in the Outaouais, he said the population is considered to be increasing, with between 10,000 and 15,000 making their home in the area. "We had a very good breeding season last year, but this year, the winter has been difficult for turkeys," Dumont said. It's not just Outaouais residents who've had run-ins with the birds. From terrorizing a Barrhaven retirement home to running around the downtown core, wild turkeys are a frequent sight in Ottawa as well. 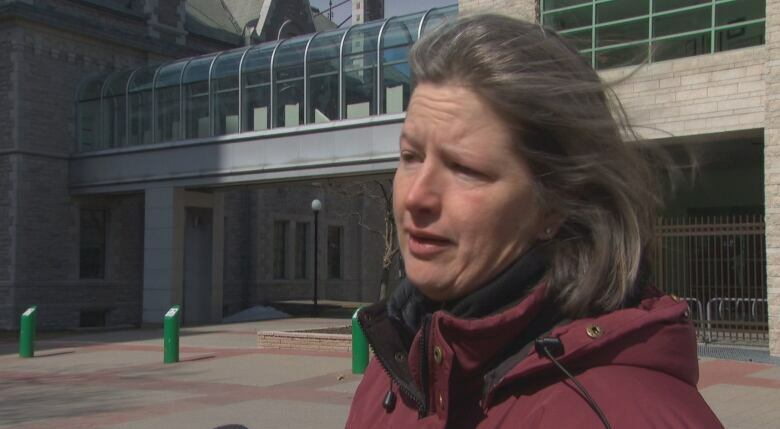 Anouk Hoedeman, founder of Safe Wings Ottawa, said this year's snowfall and freezing rain may have prevented turkeys from finding seeds and other food on the ground. "If there's a lot of snow or really hard snow that's covering up their food source, they're going to have a harder time with that," she said. Hoedeman said wild turkeys are active now because it's their breeding season — but there are other reasons people are seeing more and more of their feathered neighbours. "We're taking over a lot of their habitat," she said. "As a lot of rural areas and forested areas are being turned into housing developments, the turkeys have to go somewhere." According to Jean-Philippe Larocque, owner of Pourvoirie de la Lièvre, a hunting camp in Bowman, Que., the hunt has become more and more popular since 2008, nearly eight years after the bird was introduced to the area. Allowing archery in some rural areas, including in Ontario, could help keep turkey populations under control where the bird doesn't have predators, Larocque said — but relying on nature would be his preferred method. Dumont said the provincial ministry may consider more intensive hunting by allowing females to be hunted or increasing quotas. "Hunting would never succeed in reducing turkey populations," said Dumont. "The turkey population regulates itself, depending on harsh winters or spring nesting conditions. We cannot control the population of wild turkeys."